Everything you need for setting up a floor ring in your gym! Extra-stable and secure for round after round of ring action. 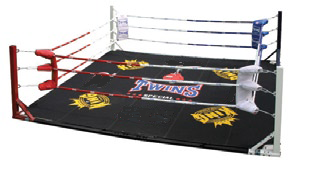 Great floor ring for any gym. Attaches to any floor. Comes complete - easy to assemble. Design is simple - Yet withstands the toughest workouts!